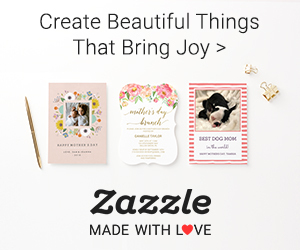 This post contains Zazzle.com affiliate links. The designer receives a commission if you buy the mentioned product, but don’t worry, you will not be charged anything extra. Thank you for supporting our small business! Your little sunshine is having a birthday! 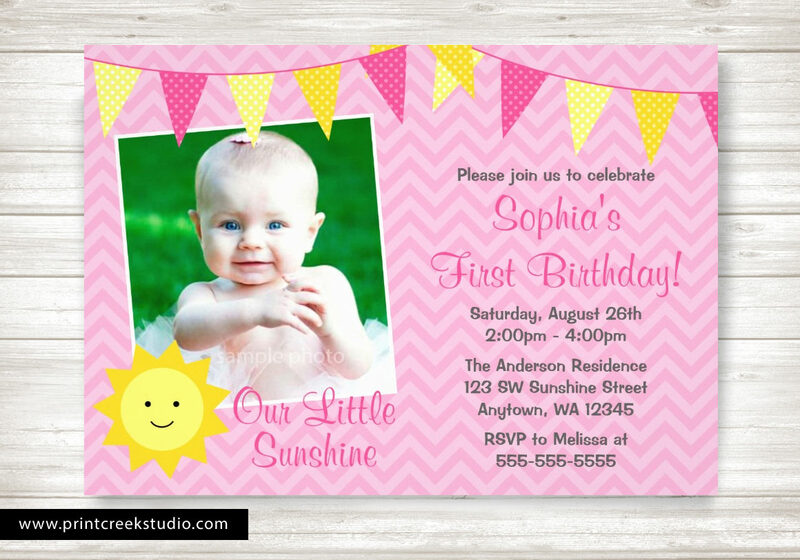 Throw an adorable “You Are My Sunshine” themed birthday party. 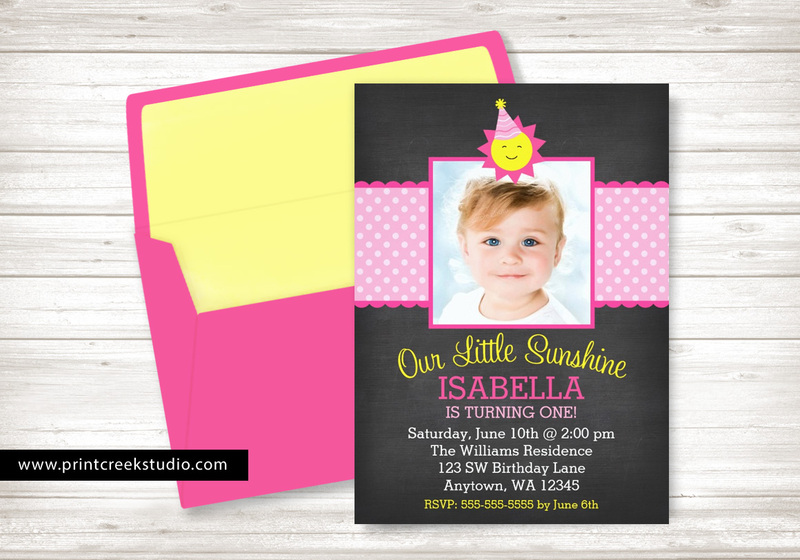 Bright yellow and pink colors make everything cheery. 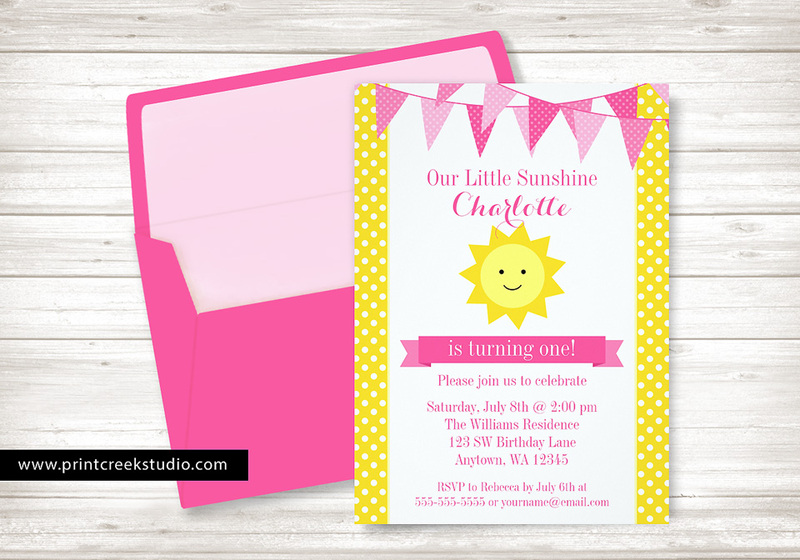 These fun designs are perfect for a little sunshine first birthday or for any age. Print Creek Studio Inc is an independent design studio based in the Pacific Northwest. Our designs are sold through our printing and fulfillment partner Zazzle. Thank you for supporting our small business!